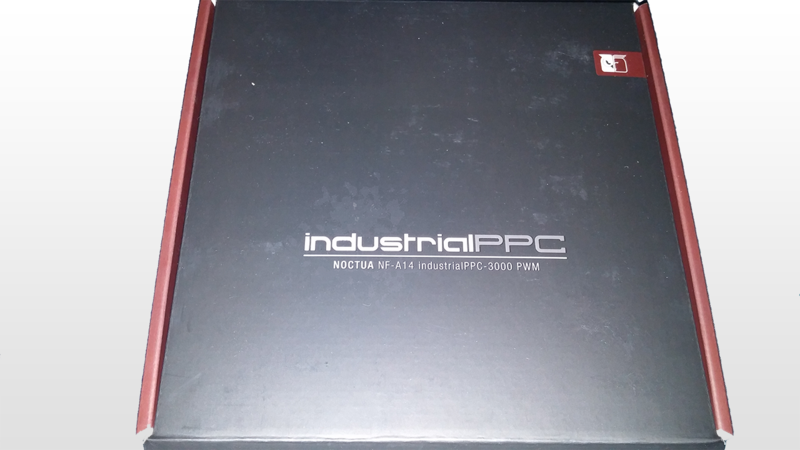 Today we’re reviewing the Noctua A14-iPPC-3000/F12-iPPC-3000 PWM Edition fans. We will start this review off by talking about the on paper numbers, build quality, what we are comparing it to and anything else we can think of. The box they came in was a very solid packaging. Nothing too complex about it. The F12 fans are 120x120x25mm, using SSO2 bearings. They’re rated at 3000rpm (+/- 10%), 186.7 m3/h which converts to around 110 CFM. They have a audible noise level of 43.5dB/a which is quite loud if ran at 100%, That’s close to some of the high airflow Delta fans. Then you have 7.63 mm of Static Pressure, which on paper is about 3x higher than any other 120mm fan. Then there’s the 3.6 watts / 12 volts / 0.3 amps of power usage per fan, with a rated use of 150,000 hours [17 years]. Here is something interesting, they have a Ingress protection rating of IP52. If you don’t know what that is, let me walk you through [if you do, you can skip this part]. It’s standardized code to rate dust and water protection. First number  is dust, Second number  is water. The higher the number, the better. Dust scales up to 6, while water scales up to 9K. 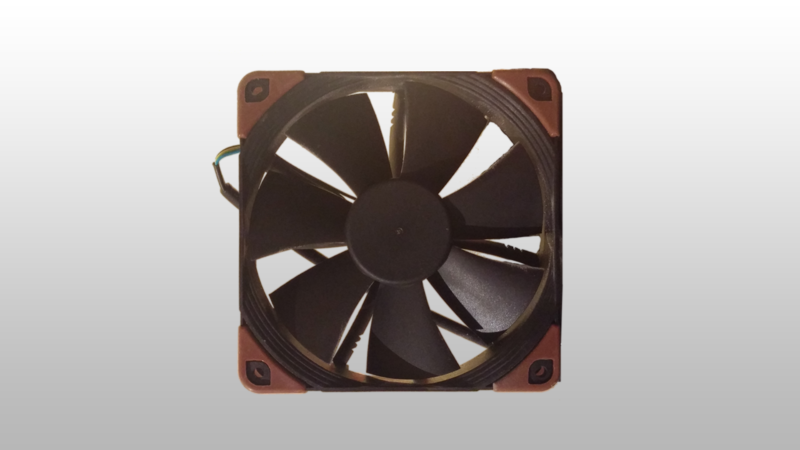 For the case in these fans, 5 is Dust protected so dust will not inhibit the usage and performance of the fan. The water rating of 2 means it can take some dipping from water of up to 15 degrees. 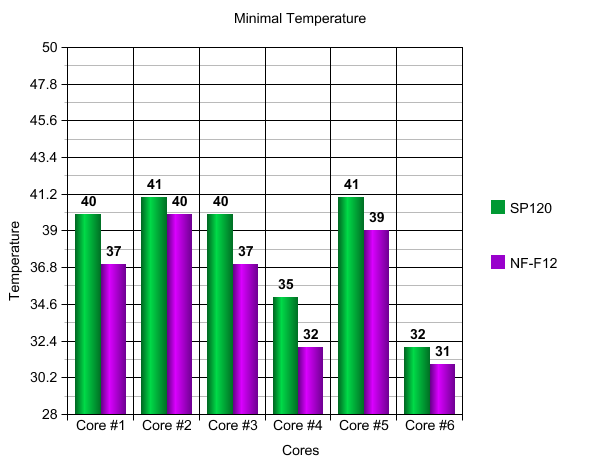 According to Noctua, The NF-F12 was tested in horizontal and vertical mounting setups for their rating. They bigger sibling, NF-A14 have the same IP rating, bearings, RPM speed and lifespan. Measuring in at 140x140x25mm. Now there is the performance of the fan clocked in at 269.3 m3/h [158.5 CFM], 10.52mm H2O of Static Pressure with a quieter 41.3 dB/A. Then with the power it’s using is more, at 6.6 watts / 12 volts / 0.55 amps. Before we can even get to the actual performance of the fan. It’s very good on paper performance. Higher than most 140mm fans on the market. Let’s get down to the first showdown. NF-F12s will be compared to the stock Corsair 120mm high performance fan that came with the H105 also known as SP120L. Which are better than Corsair’s SP120 high performance PWM edition. Let’s do some details about that fan really quick. 12 volts, 0.34 amps, 2700rpm (+/- 10%) 73 CFM [124 m3/h] 3.99mm of Static pressure and 37.7 dB. We are using both sets of fans in a push setup on a Corsair H105 using Arctic Silver 5 thermal paste. Do note: since this is an AIO watercooling solution, the temperatures could scale differently on custom radiators with varying thickness. Which in my honest opinion could benefit the NF-F12s. Our test system consists of the following specs. We had our ambient temperature at 75F, or 24C. All of these charts are in Celsius. The H105 was mounted at the front of the case, with an intake from the outside of the case and output into the case. 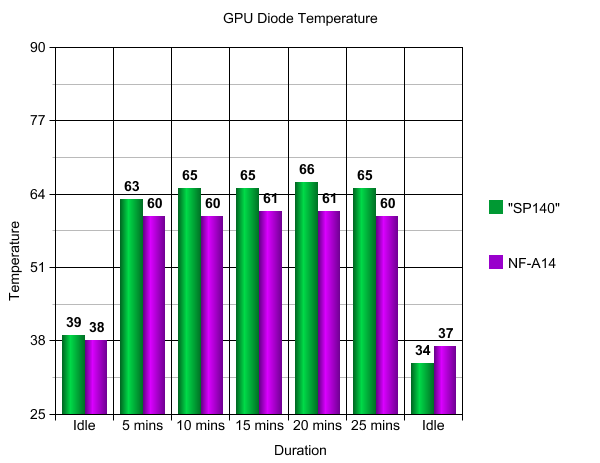 This shows the system at idle temps. As you can judge from this picture. 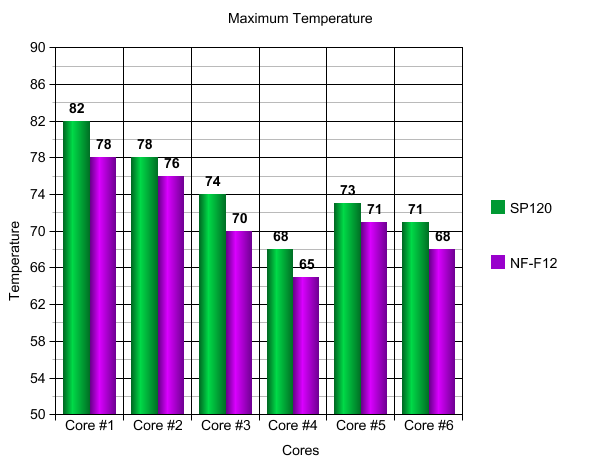 We do have cool and hot cores on our test system. But that is to be expected when you have a high-end system overclocked. With the closest numbers from the NF-F12 keeping the H105 idle at 7 degrees above ambient temperature. That’s quite impressive for idle temps, but let’s dig into load temperatures because that’s what is important. So what we can judge from our average when we put the system under load [Via using OCCT testing tools]. We can see about 2C to 4C degree different. While that doesn’t seem like much but during overclocking a high-performance, that makes all the difference between Stable/Fast vs. unstable or the processor self-throttling for being too hot. But let’s look at the absolute maximum temperature with our next graph. 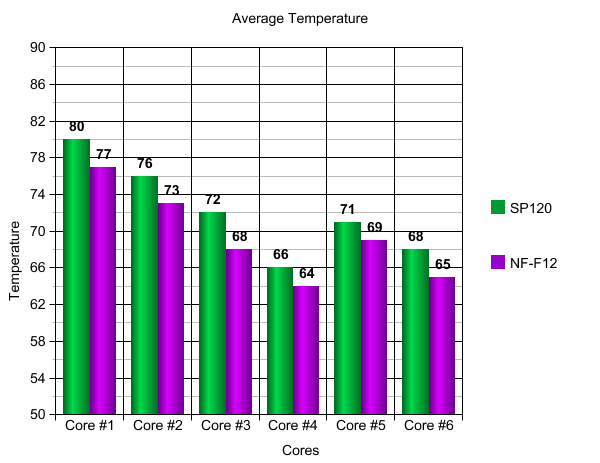 This is much more conclusive, we’re seeing averages of about 3-4 degrees across the board with only 2 out of 6 cores being an exception from that. 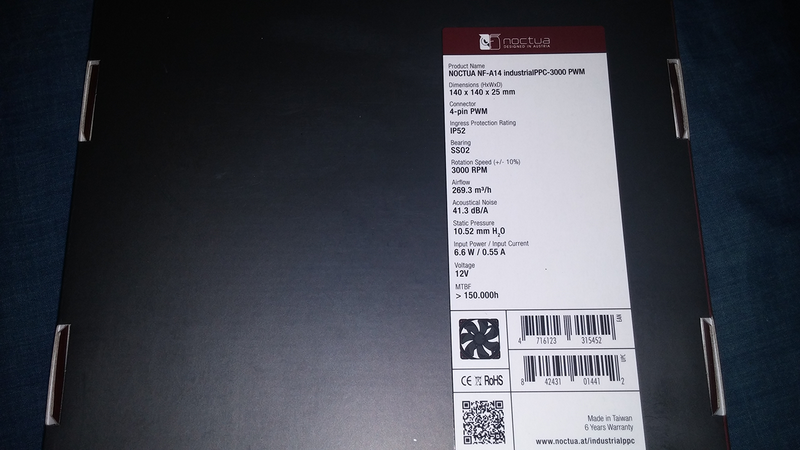 While this concludes our testing of the NF-F12 iPPC-3000 fans, keep reading for our opinions and their bigger siblings the NF-A14 iPPC-3000 fans. Now as we dive into the NF-A14 fans, please note this section is done differently. Since we’re using a NXZT G10 GPU Bracket. We decided to test the bigger fans on the video card that’s overclocked quite high with a higher voltage than most end-users can access. So we’re pushing the video card to the extreme to test how efficient the fans can move the heat. Attached to the Gigabyte GTX 780 Ghz Edition, We have a Corsair H110 watercooling. To tell you the clocks and voltage we used, it’s 1350 MHz on the core at 1.38 volts [w/ LLC]. 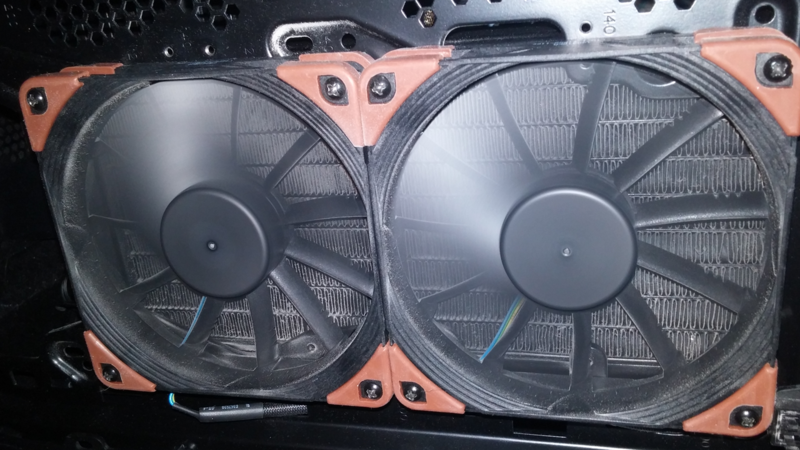 The fans are blowing air from inside the case to the outside of the case in a pull setup. The H110 is mounted to the top of the case. The fans we are using to compare are Corsair’s stock H110 fans. Since we already listed the specs for the NF-A14s earlier in the article, let’s list the stock H110 fans. They are 140x140x25mm, operating at 1500rpm (+/- 10%), pushing 94 CFM (160 m2/h) at a static pressure of 1.64mm. Which after reviewing Corsair’s website, they’re the fastest 140mm fans Corsair offers. But onto the numbers. Judging from our numbers, the NF-A14s provide 3-5 degree advantage over the SP140s. We did get the strange anomaly of the ending idle of the SP140s are lower than the NF-A14s. We also used OCCT GPU test here so it pushed the GPU hard and only ended up at 61 degrees max on the H110. 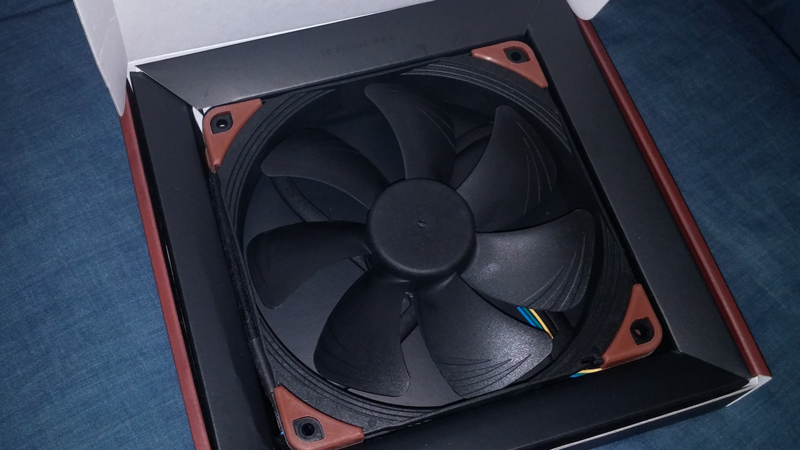 Let’s move on to our closing opinions on the NF-F12 and NF-A14 fans from Noctua. 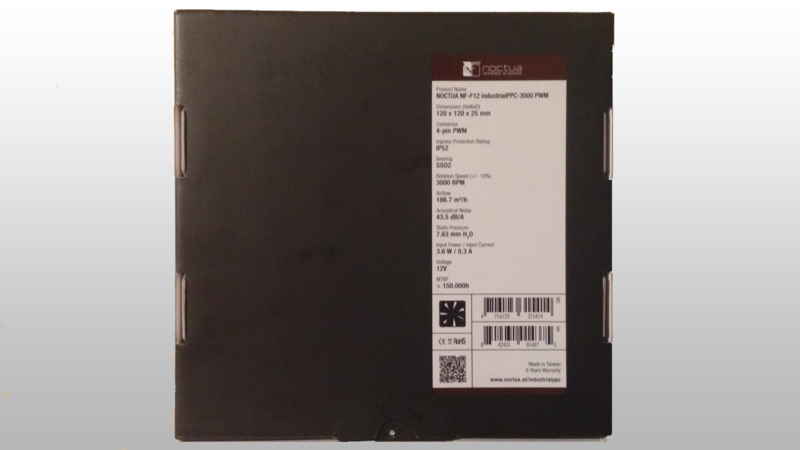 We haven’t had any experience with Noctua before this. In the consumer builds and company computers, we use Cooler Master, Corsair, Delta and other fans. After looking at these fans, we are extremely impressed, considering these are a good mixture of extreme solutions such as Delta fans and consumer friendly such as Corsair. We also felt the build quality was extreme good, nice braided cables, solid feel of the chassis of the fan. Now it comes down if we feel if the performance justifies the price point. Both retail for 29.99 USD on Newegg. To put that in perspective, The Corsair 120mm SP120 PWM Edition (closest thing to the SP120L) are 34.99 USD for two fans on newegg. Taking everything into account, we feel like that Noctua price is near the sweet spot. Could come down another few dollars around 24.99 USD but the build quality and decent bump in cooling performance is well worth it. So we’re going to recommend it with the Classified Computers stamp of approval, our highest rating. – The Classified Computers team. Excellent review and very thorough. Continually been searching if these 140s were able to be mounted horizontally or only vertically and am well pleased both are fine. 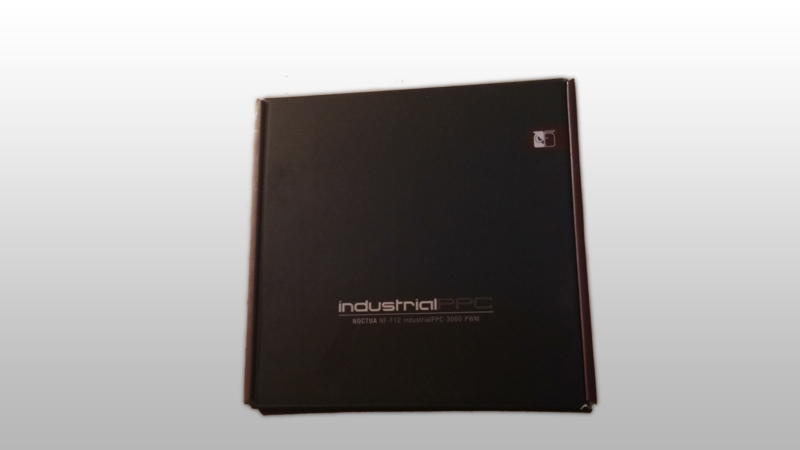 Well worth the less than $30.00 investment in a hot overclocked build especially when the last thought I want is …”wthell? ; was that my fan? as it stops working while in a critical time ingame. Again, thanks for this excellent test/ review.